Nowadays more and more tablet PCs, smart phones, notebooks come into market. 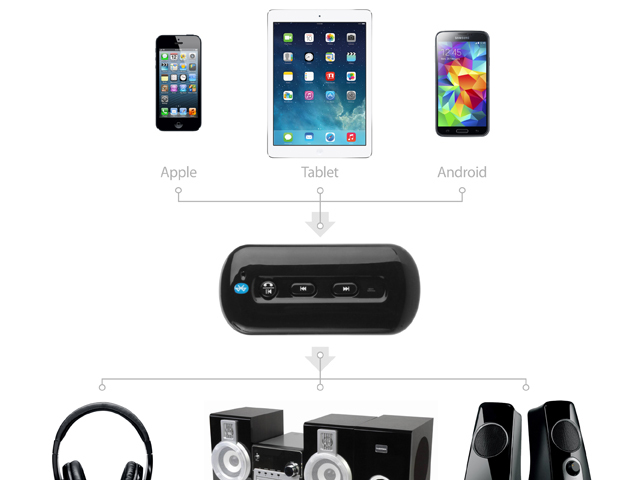 These powerful products are multi functional such as play music, play games, play video, etc. But the fly in the ointment is that the sound devices is just a small speaker. Sound and volume is not so good. 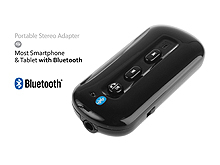 Portable Stereo Bluetooth adapter come into market there from. 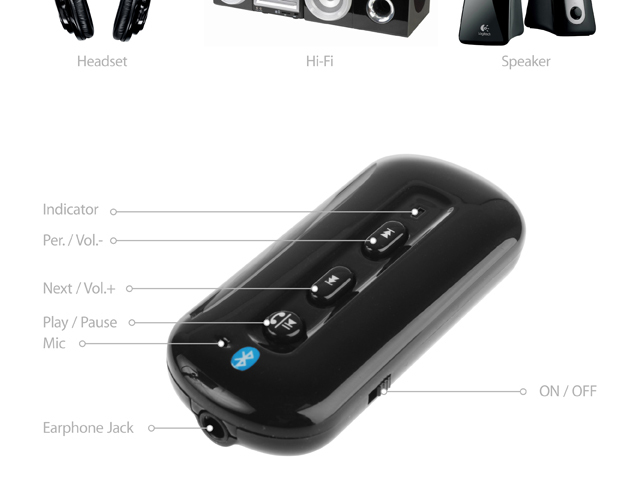 The adapter uses Bluetooth 3.0 technology, externally connecting to the speaker at home, so that make the speaker immediately become Bluetooth speaker, you can enjoy the fun of wireless audio. Also applies to all headphones (built-in high-performance polymer battery, can directly drive headphones) or support LINE IN car speaker system. 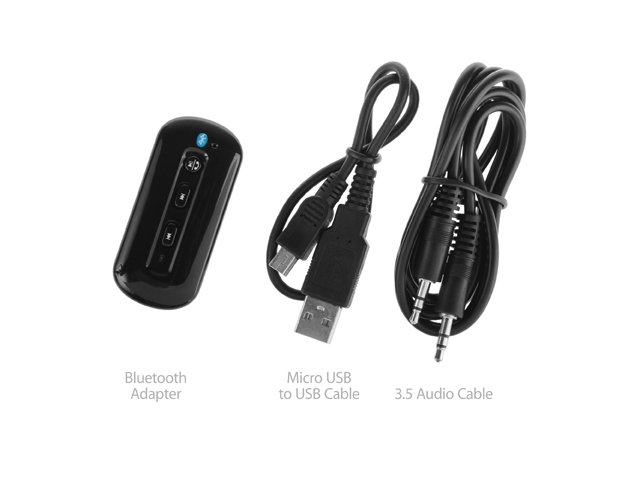 Built-in MIC can be used for hands-free phone system, easy to make or answer a call. Designed for changing the ordinary audio (headphones) into the Bluetooth stereo (headphones), simple and generous appearance. Automatically connect function when power on. 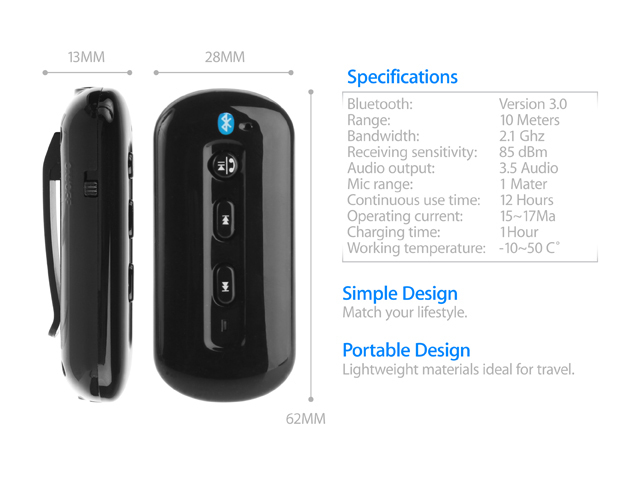 The adapter will search last connected device automatically when power on. If the device is within the searching range, it will automatically connect. If not, the adapter will into hibernation status. Using back splint design to make it easy to be used in any place. Using high pressure injection, spraying the UV to make it scratch-resistant.